Miss Asia Pacific 1993 Michelle Aldana might co-host Miss Asia Pacific International 2016 Finals on November 23rd in Sheridan Beach Resort & Spa in Puerto Princesa City, Palawan. Michelle who is now based in South Africa took to her instagram that the organization has invited her to co-host the oldest pageant in Asia. Michelle Zulueta Aldana graduated at the University of the Philippines, Diliman, Quezon City, Philippines with a Bachelor of Arts degree in European Language. 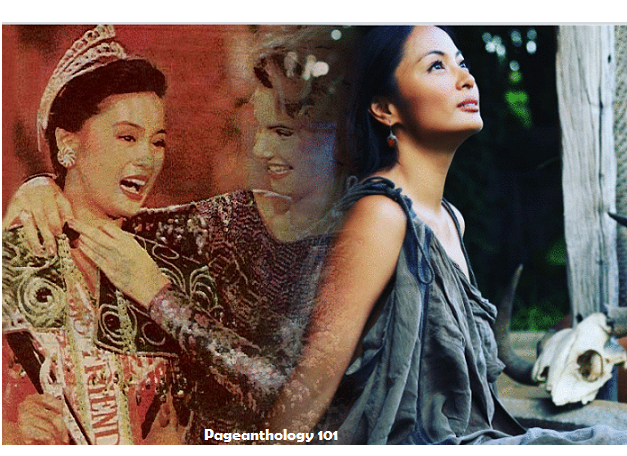 Michelle had done films namely “Ikaw ang Miss Universe ng Buhay Ko,” “Ober da Bakod,” “Ang Pinakamagandang Hayop sa Balat ng Lupa,” “Hawak Ko ang Buhay Mo,” “Estranghero,” “Hindi Pa Tapos ang Laban,” and the sexiest of them all — “Segurista.” At the peak of her acting career, she decided to move to Germany and married Christoph Heinermann, unfortunately she's now separated with her husband. Presently, Michelle is now an actress in South Africa, where she played in one of tv series entitled “The Wild.” She also plays an active role in the country's Philippine Embassy in South Africa. Launched in 1968, Miss Asia Pacific International was originally a regional pageant known as Miss Asia Quest with 18 participating countries. After a decade-long of silence, Miss Asia Pacific International will be held in Manila and Palawan from November 14-24, 2016.